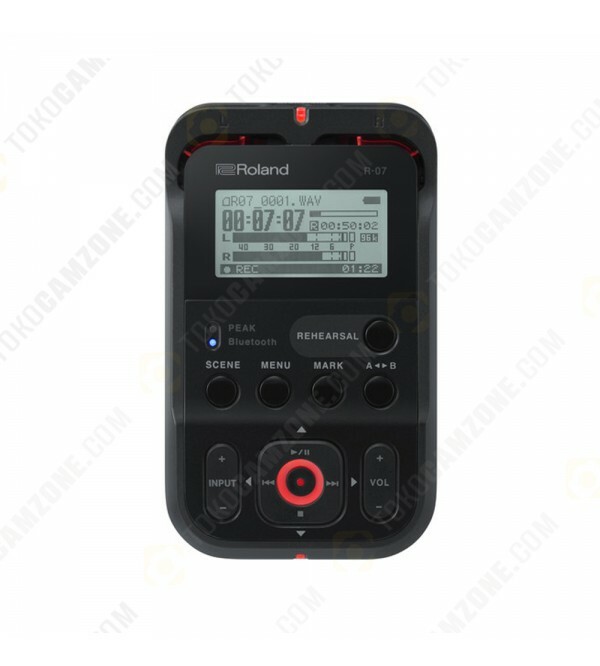 Powerful and easy to carry in a pocket, the black Roland R-07 is a portable audio recorder that provides musicians, journalists, or students with high-resolution audio and an array of convenient recording features to capture mission-critical sound on the go. 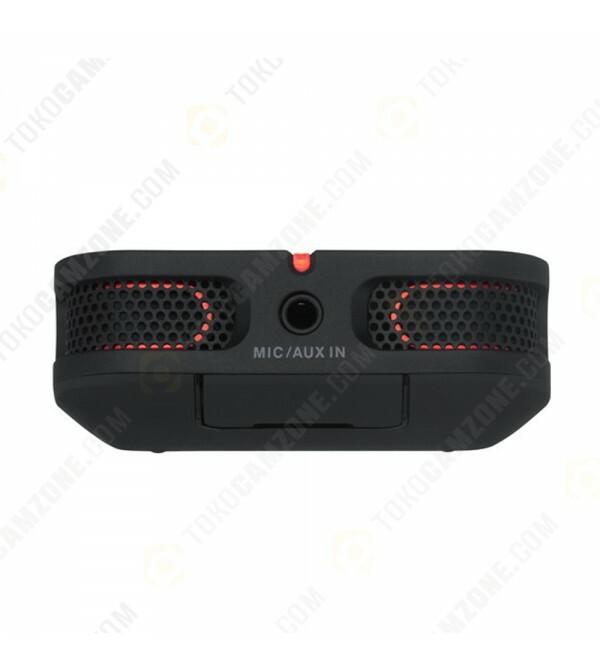 Equipped with an onboard stereo mic and a mic/aux input to connect a lavalier mic or an external device, the recorder supports mono and stereo WAV recording at rates up to 24-bit / 96 kHz and MP3 recording at rates up to 320 kbps. Its Hybrid Limiting, Dual Recording, and Scene functions help users configure all the critical recorder settings with one touch, to optimize audio capture of on-location interviews, on-the-road demos, classrooms, boardrooms, field recording, and more. The R-07 features Bluetooth technology that enables you to wirelessly manage various functions, and monitor status and levels, while the unit is placed in a prime recording location that's out of reach. Bluetooth streaming enhanced with Qualcomm aptX audio technology is also available for low-latency monitoring with Bluetooth-enabled headphones and speakers. 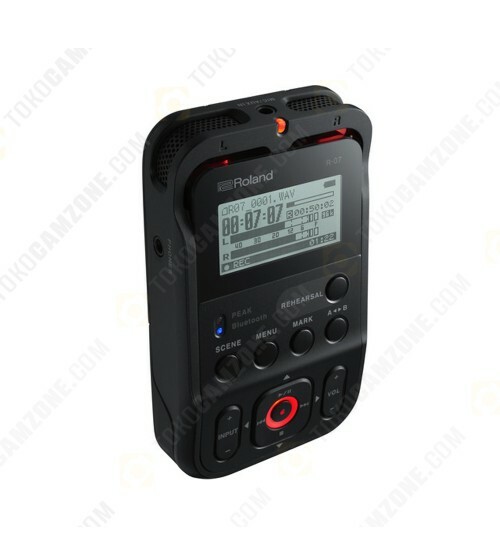 Other features include various reverb effects and a Speed Change function that allows for 50 to 150% change in playback speed, ideal for transcribing an interview or learning a song. 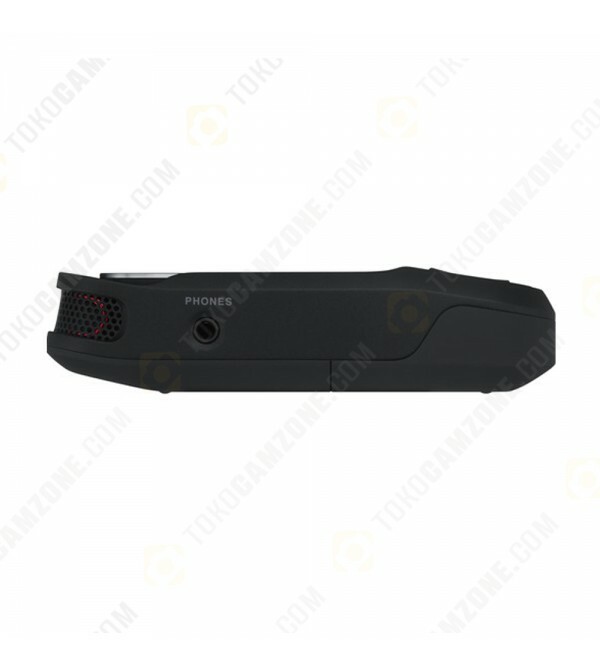 The R-07 directly records on microSD cards and microSDHC cards, and runs up to 15 hours on two AA batteries.